Last week, Microsoft announced the final release of Windows Server 2016 (the bits can be downloaded here). In addition, Microsoft has announced that Windows Server 2016 supports now a 2-node hyperconverged cluster configuration. I can now publish the setup of my lab configuration which is almost a production platform. Only SSD are not enterprise grade and one Xeon is missing per server. But to show you how it is easy to implement a hyperconverged solution it is fine. In this topic, I will show you how to deploy a 2-node hyperconverged cluster from the beginning with Windows Server 2016. But before running some PowerShell cmdlet, let’s take a look on the design. In this part I’ll talk about the implemented hardware and how are connected both nodes. Then I’ll introduce the network design and the required software implementation. If I were in production, I’d replace SSD by enterprise grade SSD and I’d add a NVMe SSD for the caching. To finish I’d buy server with two Xeon. Below you can find the hardware implementation. Management network: 10.10.0.0/24 – VID 10 (Native VLAN). This network is used for Active Directory, management through RDS or PowerShell and so on. Fabric VMs will be also connected to this subnet. DMZ network: 10.10.10.0/24 – VID 11. This network is used by DMZ VMs as web servers, AD FS etc. Storage01 network: 10.10.101/24 – VID 101. This is the first storage network. It is used for SMB 3.11 transaction and for Live-Migration. Storage02 network: 10.10.102/24 – VID 102. This is the second storage network. It is used for SMB 3.11 transaction and for Live-Migration. I can’t leverage Simplified SMB MultiChannel because I don’t have a 10GB switch. So each 10GB controller must belong to separate subnets. I will deploy a Switch Embedded Teaming for 1GB network adapters. I will not implement a Switch Embedded Teaming for 10GB because a switch is missing. I will have two nodes called pyhyv01 and pyhyv02 (Physical Hyper-V). The first challenge concerns the failover cluster. Because I have no other physical server, the domain controllers will be virtual. if I implement domain controllers VM in the cluster, how can start the cluster? So the DC VMs must not be in the cluster and must be stored locally. To support high availability, both nodes will host a domain controller locally in the system volume (C:\). In this way, the node boot, the DC VM start and then the failover cluster can start. The storage configuration will be easy: I’ll create a unique Storage Pool with all SATA and NVMe SSD. Then I will create two Cluster Shared Volumes that will be distributed across both nodes. The CSV will be called CSV-01 and CSV-02. I show how to configure a single node. You have to repeat these operations for the second node in the same way. This is why I recommend you to make a script with the commands: the script will help to avoid human errors. Next I check if the memory is seen, and all storage devices are plugged. When I have time, I run a memtest on server to validate hardware. After all drivers are installed, I configure the server name, the updates, the remote connection and so on. For this, I use sconfig. This tool is easy, but don’t provide automation. You can do the same thing with PowerShell cmdlet, but I have only two nodes to deploy and I find this easier. All you have to do, is to move in menu and set parameters. Here I have changed the computer name, I have enabled the remote desktop and I have downloaded and installed all updates. I heavily recommend you to install all updates before deploying the Storage Spaces Direct. Below screenshot shows the VLAN configuration on physical and virtual adapters. Next I disable VM queue (VMQ) on 1GB network adapters and I set it on 10GB network adapters. When I set the VMQ, I use multiple of 2 because hyperthreading is enabled. I start with a base processor number of 2 because it is recommended to leave the first core (core 0) for other processes. Next I configure Jumbo Frame on each network adapter. The below screenshot is the result of Get-NetAdapterRDMA. Ok, now that network adapters are configured, we can configure IP addresses and try the communication on the network. Then I try the Jumbo Frame: it is working. Now my nodes can communicate with other friends through the network. Once you have reproduced these steps on the second node, we can deploy the domain controller. Enable-WSManCredSSP -Role client -DelegateComputer "10.10.0.5"
Enable-WSManCredSSP -Role client -DelegateComputer "10.10.0.6"
Now you can leverage the new Hyper-V manager capability which enable to use an alternative credential to connect to Hyper-V.
Once the VMs are created, you can connect to their consoles from Hyper-V manager to install the OS. A better way is to use a sysprep’d image. But because it is a “from scratch” infrastructure, I don’t have a gold master. By using sconfig, you can install updates and enable Remote Desktop. Once the operating systems are deployed, you can connect to the VM across PowerShell Direct. New-ADGroup -Name "GG-FabricAdmins" -Path $GroupAcctOU -GroupScope DomainLocal -Description "Fabric Server's administrators"
New-ADGroup -Name "GG-SQLAdmins" -Path $GroupAcctOU -GroupScope DomainLocal -Description "SQL Database's administrators"
New-ADGroup -Name "GG-Hyperv" -Path $GroupCMPOU -GroupScope DomainLocal -Description "Hyper-V Servers"
New-ADGroup -Name "GG-FabricServers" -Path $GroupCMPOU -GroupScope DomainLocal -Description "Fabric servers"
New-ADGroup -Name "GG-SQLServers" -Path $GroupCMPOU -GroupScope DomainLocal -Description "SQL Servers"
Wait that pyhyv01 has rebooted and run the following cmdlet on pyhyv02. Now you can log on on pyhyv01 and pyhyv02 with domain credential. You can install Domain Services RSAT on the laptop to parse the Active Directory. Test-Cluster pyhyv01, pyhyv02 -Include "Storage Spaces Direct",Inventory,Network,"System Configuration"
Once the cluster is created, I set a Cloud Witness in order that Azure has a vote for the quorum. Set-ClusterQuorum -CloudWitness -Cluster Cluster-Hyv01 -AccountName "&amp;lt;StorageAccount&amp;gt;" -AccessKey "&amp;lt;AccessKey&amp;gt;"
(Get-ClusterNetwork -Name "Cluster Network 1").Name="Storage-102"
(Get-ClusterNetwork -Name "Cluster Network 2").Name="Storage-101"
(Get-ClusterNetwork -Name "Cluster Network 3").Name="Cluster-100"
(Get-ClusterNetwork -Name "Cluster Network 4").Name="Management-0"
Next I configure the Node Fairness to run each time a node is added to the cluster and every 30mn. When the CPU of a node will be utilized at 70%, the node fairness will balance the VM across other nodes. Then I configure the Fault Domain Awareness to have a fault tolerance based on rack. It is useless in this configuration, but if you add nodes to the cluster, it can be useful. I enable this because it is recommended to make this configuration before enabling Storage Spaces Direct. New-ClusterFaultDomain -Type Site -Name "Lyon"
New-ClusterFaultDomain -Type Rack -Name "Rack-22U-01"
New-ClusterFaultDomain -Type Rack -Name "Rack-22U-02"
New-ClusterFaultDomain -Type Chassis -Name "Chassis-Fabric-01"
New-ClusterFaultDomain -Type Chassis -Name "Chassis-Fabric-02"
Set-ClusterFaultDomain -Name Lyon -Location "France, Lyon 8e"
Then I set authentication of Live-Migration to Kerberos. As you have seen in the above video, even if I stop a node, the workloads still working. When the second node will be startup again, the virtual disks will enter in Regenerating state but you will be able to access to the data. 2-node configuration is really a great scenario for small office or branch office. Without the cost of an expansive 10GB switch and a SAN, you can have high availability with Storage Spaces Direct. This kind of cluster is not really hard to deploy but I heavily recommend you to leverage PowerShell to make the implementation. Currently I’m working also on VMware vSAN and I can confirm you that Microsoft has a better solution in 2-nodes configuration. In vSAN scenario, you need a third ESX in a third room. 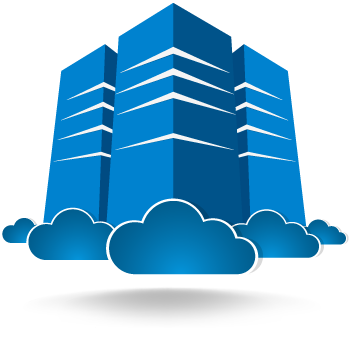 In Microsoft environment, you need only a witness in another room as Microsoft Azure with Cloud Witness. Previous: MVP Cloud and Datacenter Management 2016 award: Thank you! Hi, I have just gone through your two nodes solution, and learn a lot. I just started my test environment, so I want to get advice from you. The network configuration is too complex for me, with maybe 4 adapters, right? Can I just use one adapter to set up the test environment? If you have one adapter of 10GB/s for a lab it is ok. Be careful about just one 1GB/s because the solution will be not efficient at all. So is there a more simple way to set up a two-node, or maybe management+two-node cluster, without network configuration and active directory? I am not familiar with AD and network, and I just want to test the failover feature. To try Failover Clustering you can implement a single network with a single NIC per node. However, I recommend you at least two NICs and two networks to fully understand how works Failover Clustering. We have used your guide to setup a cluster, however we are seeing a strange issue when copying files from a host to a LUN that isn’t owned by that node. The transfer speed starts lower then what we would expect (160 – 170 MBs) and at random intervals this drops to 0MBs for periods of a few seconds, then returns to the original speed. It will do this throughout the transfer. We have RDMA enabled on our 10GB NICs and have also tried disabling it, but this makes the situation worse as the top transfer speed then drops to around 10MBs. I have seen this issue with a poor caching device. Could you try to disable the cache (Set-ClusterS2D -cachestate disabled) and try again ? What kind of disk have you implemented in your solution ? Thanks for the reply. We have disabled the cache state as you suggested, but the problem still persists just with a lower top speed. You have 4TBx12 per node (48TB) and 800GBx4 (3,2TB) of cache. You have not enough of cache. It is recommended to install at least 10% of capacity for the cache. So in your situation, you should install 4,8TB of cache. Try to remove 4 HDD disks and try again your transfer to validate this statement. Try disabling SMB Signing and SMB Encryption. My test domain had this enabled by default and it meant that even though using RDMA for transfers, speeds were capped by the speed in which my CPU could decrypt the traffic. Hi, I’ve learned a lot from this article. Thank you for taking the time to put all this down. Can I ask why none of your network configurations have a default gateway configured? Thanks, just thought I was missing something. What about the DMZ network? Can you shed some light on how you’re configuring that? Thanks. You just have to add the VLAN ID to the trunk (from the switches perspective) and create a VM by setting up the VLAN ID in the virtual network adapter. I have a very similar build with the difference being i have a switch with 2 10Gbps SFP+ ports on it and my 2 servers also have 2 10Gbps SFP+ ports on the each. My question is can i connect one cable from each server to the switch and then use the other 10Gbps SFP+ to connect both nodes together? is it a good idea? Are you sure that 2x 10Gbps SFP+ on switch are not dedicated to link between switch ? I don’t recommend you this installation because you wil different architecture between 10Gb/s links. thank you for this article, this helped me a lot ! I wonder why it does have to be domain controllers on the nodes, couldn’t they be just very plain ordinary servers with the DCs then as VM ? I am testing your solution with our own material. Everything is going fine but I have two questions. We have 4 ssd in each server. one 120gb to boot, one 120gb forced as journal and two 1.6tb as capacity. S2d does not find any suitable drive for cache, do we need nvme or is there any trick to force it to use the 120 GB ? I would also like to compare some perfs. I am using diskspd. my test vm run at 5875 iops, is that good performance or am I missing a lot ? Many thanks for the blog, it helped me a lot. You have not enough SSD for Storage Spaces Direct to be supported. S2D requires at least four disks. If you implement cache mechanism, you require at least 2x cache disk. Moreover you need 10% of cache compared to capacity space. The 120GB SSD is not detected as journal because you have only SSD and I think, on the same bus type (SATA ?). In this case you have to select the right disk manually. how can additional nodes added to the cluster. Is it right, that in the 2-node configuration the load on each server should not be greater 50%? To add a node to the cluster, you configure it as others and you add it to the cluster. Once you have added the node to the cluster, you add the physical disk to the storage pool. In two nodes configuration, the load should not be greather than 50% to take into account a node failure (N+1 rule). thanks for your answer. Is it a problem to use 10G Network-Interface Card without RDMA-Feature? Would it be possible to replace the 10G NIC (with one with RDMA) in a running system? Downtime for the replacement would be no problem. In Microsoft documentation, the RDMA is recommended especially when hosting VM. I recommend you strongly to implement RDMA from the beginning if the S2D hosts VM. If you plan to host VM and If you can’t implement RDMA, I don’t recommend you to implement S2D. Hello Romain, great article, thanks for putting it together! I have followed the instructions and now have a 2 node hyper-converged cluster using S2D configured. Live migration of VMs between nodes works fine, but when I shut one of the nodes down then the other node looses sight of its CSV folders in c:\clusterstorage\volume1\ or whatever. Of course that means the VMs that were living in that CSV folder stop working. Do you have any ideas why, or any advice on how to troubleshoot this? Cluster validation passes all tests fine. My setup differs from your in that the DC the cluster nodes are attached to is at a different site and connected to it via VPN. It is also an SBS2011 DC. All routable NICs have their DNS pointing to this remote DC and can access it via the VPN, but I wonder if there is some problem due to this configuration. I also use a File Share Witness installed on a physical server 2012r2 box on the same site as the nodes are at. If you have any thoughts I would love to hear them! Thank you for your time. You can contact me by E-mail and we can make a skype to show me your setup and the issue. You can find my E-mail in contact tab. Thank you for your kind offer Romain but at this time I will politely decline simply because I have been on the phone to Microsoft for 4 hours today troubleshooting this. We clustered the nodes, enabled s2d, configured the file witness and then created two volumes, put a VM into it, added it to the cluster and then showed that failover did not work. They used get-clusterlogs and also a microsoft troubleshooting app to take away a lot of logging and they are going to get back to me in 2-3 days with (hopefully) a solution as to why this is happening. I have exactly the same issue. Let me know if you will find a solution. Could you describe your hardware configuration ? If I find a solution I will let you know. It is in MS’s hands now. FWIW my setup is 2 x Dell T630s with 96 GB RAM, an 8-core Xeon with HT, 1 x 186 GB SSD for the OS, 2 x 480 GB SSDs & 4 x 4 TB HDs for the S2D storage, 2 x 10 GbE Mellanox NICs, 4 x 1 Gbps NetXtreme NICs, and an HBA330 for the storage controller. All firmware is up to date, as are drivers. OS is Server 2016 Data Center. The two 10 GbE ports on each node are connected into two Dell S3048 switches. When we spec’d this with dell we told them they were for S2D and recommended us that S3048 switch, but it turns out it doesn’t support PFC (IEEE 802.1Qbb), ETS (IEEE 802.1Qaz) or DCBx. I don’t think this is an issue though, as I tried configuring the nodes without the switch like Romain did in his example, and exactly the same thing happened. RDMA is all enabled and working, as far as I can tell anyway. One thing MS made me do whilst troubleshooting was to use a server 2012(r2) server to create a vHD that was presented to the network via iSCSI, then map each node onto the iSCSI HD and test fail-over like that. This worked properly, so ruled out a clustering configuration problem and pointed to S2D. To help you I need to check your setup and event log. If Microsoft can’t find issue, contact me by E-mail and I’ll help you. i see have the same issue in my lab. even when running on a nested virtual servers. I still have a small problem with the s2d config. I add a disk in each server making 2*112gb as cache and 2*1.46tb as capacity. I used set-physicaldisk to force the 112gb as journal. Here is the s2d report, it is unable to use any disk as a cache. How can I force it ? Is there any magic cmdlet ? Many thks for your help. Romain – Do you have a config and setup for this type of deployment using SCVMM? Currently I have not. I don’t use SCVMM 2016 because, for the moment, there are too many bugs. I’ve tried to deploy it for a customer, and it caused me lot of trouble. Hi. Great article, thank you! Did you run any performance tests on your 2-node cluster? For this current lab with consumer-grade SSD, I have 47K IOPS with 70% Read and 30% Write. Three weeks ago, I have deployed a 2-node solution for a customer with enterprise-grade SSD based on the same design of this article. This solution provides 75K IOPS with 70% Read and 30% Write. Not bad ! Can you share the detailed specs on that Enterprise-grade SSD based setup? Servers, HBA’s, disks etc. You can buy SSD such as Intel S3610 / 3710 and HBA such as Dell HBA330 or Lenovo N2215. I would stay away from a 2-node solution. It doesn’t handle drive failures as good as you would think. I experienced this the hard way. Check out http://kreelbits.blogspot.com/2018/05/the-case-against-2-node-s2d-solutions.html if you’re interested in the details. Until Windows Server 2019 I would stick with 3 nodes minimum and always do a 3-way mirror, unless you don’t care about your data. You know, this is based on your own experience. I have built many 2-node S2D cluster without any issues. In some case I lost the node, in other cases I lost a drives. I always recovered data. In a small company or for branch office, it is a good option. I have 2-node setups that are going strong without issue too, it’s only a matter of time before this bites me again (and you.) You’ve been lucky if you haven’t experienced this yet. SATA drives, which S2D was specifically designed to utilize, have a failure rate an order of magnitude greater then SAS drives and SATA drives tend to die a slow death with URE after URE. The 2-node s2d cluster handles a full node failure wonderfully. When a drive fails completely a 2-node s2d cluster handles that great too. The issue is when the drive is failing but does not fail completely. The Principal PM Manager for the high availability and storage team at MS told me that this is an area they’re working on. They’re aware of the problem and are taking steps to address it in the next version of Windows Server. If you care about HA or your data and the use case doesn’t allow for more nodes then you’re better off handling it at the application level with two seperate servers. If you’re going to run a 2-node s2d cluster though don’t solely rely on it for data redundancy and make sure you take regular backups (you should be taking regular backup anyways.) Also, always check your storage reliability counters before restarting a node. Note, the same applies for 2-way mirrors in clusters greater then two nodes. If you’re going to do a two node S2D cluster, Windows Server 2019 and Nested Resiliency is a must! It’s those URE that’ll get you otherwise. This article has great details on W2106 S2D set up. Very appreciate for the detail sharing. 1. W2106 S2D needs to have Switch which support RoCE (RDMA over converged Ethernet). You have set up the RDMA NIC card, but when we in our lab with RDMA enabled switch, there are still works needed to get them in sink. Once Switch and NIC connected, you will see the performance issue to enable enough Hyper-V VM. We believe there are works needed there while we are working with MS for tech support. 2. 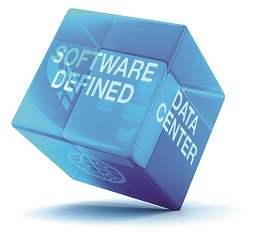 Have your configuration passed the MS W2016 SDDC (Software-Defined DataCenter) certification? Even MS mentioned that the solution can be deployed with two nodes (To be exact, we believe it is Three nodes as minimum). And for full performance guaranty, the MS W2016 S2D certification is required. Thank you for this kindly comment. 2. Microsoft supports 2-node configuration. You can believe that 2-node configuration works plenfully.My lab is not certified by Microsoft because I have built servers myself. But I have already built several 2-node configuration which are certified by Microsoft. We are working with MS for W2106 S2D certification and worked closely with MS S2D cert. team on the technical details discussion. The MS S2D cert. test we have required 4 server nodes with Switch and control server set up to run and all the component used should also certified. It is good to know that you can have two nodes with network looping and get their certification as W2016 Hyper-converged solution. Hi,Romain. I see you just put the two 10GB together end-to-end with this two nodes. Why did this work for storage transation? I am not familar with SMB and end-to-end connection. Did you have any doc referred to SMB and network setup, so that I can learn and test? Thanks. By default, Storage Spaces Direct takes network adapters where RDMA is enabled for SMB transaction. So I have enabled RDMA on 10GB NIC and disable it on 1GB network adapter. In this configuration, 10B/s networks handle the SMB transactions (S2D and Live-Migration). I see, thanks. And I suppose the Mellanox Connectx3-Pro you use is a Dual-Port Adapter in each node, so that you just bind this two port together in SET, am I right? is each port bi-directional, or one in one out? I have not added both Mellanox ports to a SET. Each ports are direct attached from first server to the second. So I have specified a network subnet for each link. This is standard Ethernet so there are bi directionnal. Hah, I misunderstand something. Thank you for pointing me out! I almost get the server ready but I don’t know what’s the difference between my 10-Gb Ethernet adapters and RoCE adapters. Do I need add RoCE adapters to fit this deployment? Contact me by E-mail to explain me in deep your hardware. I will be able to advise you. I sent mail to s***.**m@outlook.fr. Hope to hear from you. thanks ,a great article . 1. It is not a problem since if I lose a node, the storage still working. I run the DC on Hyper-V VM because it is a lab. In production situation, you should host nothing on OS disk. A physical DC is recommended. 2. These commands disable the DNS registration of cluster and storage net adapter in DNS. Sometimes, the “private” IP are registered in DNS. Only the routed IP should be registered in DNS. I am working on setting up a new small hyper-v cluster. my question is, when does the storage pool become available to the hyper-v host? Do I install that roll on the hyper-v servers? I have two seperate bare-metal boxes for my domain controllers, so my plan was to have hyper-v installed on a core or nano install. I just don’t know when to setup a storage pool direct cluster to use for vm storage. Also, are you saying that two ssd disks is not enough disks for storage pools direct? I feel like 4 ssds in each machine is a bit excessive for our needs. My main question, again, is when do i add all the drives to the storage pool to use for host vhdx files. I’m trying to avoid building a dedicated bare-metal SAN for storage being used exclusively by hyper-v.
First I don’t recommend you Nano Server for Hyper-V or/and storage. Secondly, you have enough SSD in your configuration because you have 10% of cache or more regarding capacity. If you follow my topic, you see that I enable storage spaces direct on the cluster and so a Storage Pool is created. Need a SAS HBA adapter for S2D? Why do you advise the HBA adapter, although you do not use it in your configuration? The presented configuration is a lab and it is located in my restroom 🙂 I use a SATA Controller which is not supported in production because of lack of functionality compared to SAS controller (disk location for exemple). However I advise you these HBA because I have deployed production environment and I have used these one. Can you explain why you setup 2 storage networks and 2 CSV? I setup 2 Storage Networks for redundancy and bandwidth (SMB MultiChannel). Then I create two CSVs in order that each node manage a CSV to balance the workloads. I’m doing my research before I setup our S2D cluster and see a contradiction here. So I’m confused. I don’t understand why a 10Gb switch matters in order to get SMB Multichannel working. Was that an early misunderstanding on your part that survived to publishing? We’re going for a small 2 node S2D cluster and it didn’t make $ sense to purchase a 25Gb switch (or 2 for redundancy!) for the storage network just to connect 2 nodes together. So I’m just using DAC cables between the 2 nodes with a dual port 25Gb Adapters. But I’ve dual port adapters so figured I could push the storage throughput to 50Gb with SMB Multichannel. I might be missing some crucial bit of understanding as I’m not sure why you bother doing all this unless the fact that the virtual NIC shows that its now 50Gbps will have a real effect on the S2D speeds. I guess I can try it both ways and test for any speed difference with VMFleet. Because I have no switch, I can’t add all network adapters inside the same subnet and so I can’t leverage Simplified SMB MultiChannel. However I use SMB MultiChannel. – On 1Gb/s NIC, create Switch Embedded Teaming, create a vNIC for management. VMs will be bound to this vSwitch. Ah the difference between “simplified” and “Simplified”. I thought it was just an adjective. Thank you for clarifying. I’ve followed your “typical configuration” for my 25Gb/s NIC’s. But your last paragraph doesn’t make sense to me. You switched to saying 10Gb/s, but I’ll assume we’re talking about my 25Gb/s storage NIC’s. Why do I need to put each 10(/25)Gb/s NIC in a specific subnet with RDMA enabled? You didn’t mention anything about SET here and you did for the 1Gb/s so why would I not follow your “typical configuration” and just using SET on them? Is SET bad for performance and you recommend just relying on SMB Multichannel for the storage network? You told me that you don’t have a 10/25 Gb/s switch(es). In this way, you have to direct attached both servers and you can’t use a SET switches and you have to dedicate 10/25 Gb/s for Storage and Live migration. If you have a 10/25 Gb/s switch(es), you can create a SET with both NICs and create a converged network. I don’t recall reading anything anywhere saying SET had to involve a physical switch. SET is in Switch Independent mode automatically, right? No option to use LACP or Static Teaming. And Switch Independent mode means that it makes no assumptions about the switch – which is good because I don’t have one. If I pinged either of the two addresses in this subnet of the other server, it always worked. I never saw a single dropped packet and later after I had read your article and others I wondered if SMB multi channel was stepping in at either end to ensure packets got to where they were meant to be? Anyway, no need to take my word for it. Try it out for yourself. And BTW, thanks for the whole article. Very helpful to have a real world guide as well as the Microsoft documentation. If in your solution NIC 1 is connected to NIC1 of the second server and NIC 2 connected to NIC2 of the second server. If you create a SET switch with NIC 1 and NIC2, how it works if NIC1 of the first server and NIC2 of the second server is down ? You mean two independent failures? You’re absolutely right. It won’t. But then that same occurrence would bring down your solution of having the two in different subnets, so your point isn’t toward resiliency. I just like that I end up with 1 storage subnet at 50Gbps. The setup is then standardized so its the same for all servers regardless of having a storage switch or not, and more scalable in that if we ever do get that third node and storage switch then I can just plug it in. What I wanted to say, is that NIC 1 can communicate with NIC2 if both are in SET and it can’t because of the physical topology. Each time I talked with Microsoft, they recommended the configuration that I presented. almost got it runnging but Enable-ClusterStorageSpacesDirect gets stuck in 27%. Yes, I cleaned the disk. Out of ideas. Well, I tried everything until I thought to shut down the cluster while Enable-ClusterS2D was hanging on 27%. After starting cluster again and running Enable-ClusterS2D again, it worked. So finally i can continue whit my testing. I hope MS will fix it because this is not recommended for production enviroments. I have had this issue also. When this issue happens, I cancel the Enable-ClusterS2D, I reboot all nodes and I run Disable-ClusterS2D. Then I run agian Enable-ClusterS2D and it works. Thank you for the article. Do the nodes need to run Windows 2016 Datacenter Edition, or can this be implemented with Windows 2016 Standard edition? Windows Server 2016 Datacenter is a requirement for Storage Spaces Direct. Thank you for the response. Do you have any experience with software based vSAN solutions like Starwind? For a 2-node cluster with less than 14 virtual machines, paying 6K+ per node for a license is a bit much. If 2016 Datacenter is a requirement for S2D, then I’d argue that this really isn’t a great solution for small business! It depends of the small business. If small business needs to host 20VMs, this solution is good. If the small business needs to host 4 VMs, I’m agree. I see you are using 1 NVMe per node as cache. This technet article states that you need 2 NVMe cards. Can you clarify how this works? This is because it is a lab. I have build this configuration with my own money and NVMe are expensive. But I’m agree, in production, if you implement mix storage devices like SSD + HDD, 2 cache devices are required. Is the second NVMe for redundancy only? If so, what would happen if the NVMe fails on one node? i’m curious about this as well, lol. I have two nvme drives, but only two slots on the board and one is filled with a 10GbE card. You need two cache devices for the redundancy. If a cache device fails, the other can handle the cache for all other capacity devices. This is a requirement from Microsoft. So how are you able to use 1 NVMe drive? This is non-production & backedup using veeam. This would give me 1 512GB NVMe, 2 800GB SSDs, & 2 3TB drives per node. the solution works with only one cache device. It is not supported by Microsoft. If it is for a non production environment as mine, you can work with one cache device. If it is production environment, don’t go with only one cache device. Thank you for taking the time to type out this very detailed guide. You are a rock star! I’ve learned a lot just by trying the steps out a few times. I have a question for you… Does your server setup support SCSI Enclosure Services? When I went through the steps with my 2 Dell Poweredge R730s I managed to get it up and running. It is super-fast. But whenever I down Node number one, the whole CSV fails until the 1st node comes back online. Everything I am reading about this points to the fact that my servers do not support SCSI Enclosure Services. I am curious to see if this is a setup problem, or does my hardware truly not support Storage Spaces. Thanks to everyone for their posts and input! Thank you very much :). I don’t know why the cluster is down when the node is shutdown. Maybe I can check your cluster by skype ? I cant reset this disk or fix this. What can be done? Have you tried to physically remove the disk from the node and add it again ? Whit this command you can basicly hard-reset the disk. First, set disk as retired. Question for you regarding backup. How compatible is using something such as Storage Craft Shadow Protect installed on one or both physical units to backup to a NAS? Why you want to backup shares ? you can backup virtual machines from host with solution such as CommVault, Veeam Backup & Replication or System Center DPM. In fact I check veeam, CommVault too, but this is too large and complicated for me, because I just need to run a small agent to sync the file(maybe). I know this question was asked a while ago, however I’d like to share my good (long-term) experiences with Altaro VM-Backup. It is lightweight, easy to setup and does a great job backing our hundreds of VMs with high-speed and excellent deduplication/compression ratio. It is a good fit for small setups up to larger clusters. Last but not least they have a really fair pricing (compared to e.g. Veeam or CommVault) and a great support team. I have a question about this setup. to Server 2016 Hyper-V failover cluster with s2d instead of hardware raid and starwind? Your hardware is not ready for S2D. The PERC H730 is not supported because it can’t passthrough disk to Windows Server. Even if you set JBOD mode, the disks will be show up to RAID bus. There is not enough of memory also. S2D requires 128GB and you need SSD cache devices. So the best way is to buy to S2D ready node and deploy it on top of them. Them yo uwill be able to migrate VMs. I have a functional 4 node storage spaces direct hyperv cluster in place and has been running great for the past few months with 10Gb 2-port cards in each host(not RDMA capable). My boss let me get some spiffy 10Gb 2-port cards to add to each host which support RDMA. My initial thought was that I would continue using the non RDMA cards for the commodity vm data network and management, then use the RDMA capable cards for cluster and migration traffic. You seem to have a better grasp on the optimal network setup. How does that compared to having specific redundant adapters for live migration, management, etc. Have you done any tests comparing overhead, etc. ? The topic you show me is based on 2012R2 and set doesn’t exist this version. You can use 2 network adapters for cluster networks (Live-Migration etc.) and two for VMs. It is up to you. But if you have 2x 10GB/s with few VMs you should converge everything. It’s depend on your infrastructure. In many design, I converge everything in two 10GB/s / 25GB/s network adapters. Then I create virtual network adapters for cluster. Usually I don’t isolate cluster, live-migration and storage in several vNICs. Great information. Can you go into a little more detail about the configuration of the networks inside of Failover cluster manager? For the “Cluster” network, are you configuring cluster and client communication? What are you doing with Storage and Management? I was getting extremely poor write speeds. I believe it was due to not enough cache? in my current scenario, I would need more cache or do you think it is the samsung 960s not doing well? with cache enabled i get around 30-50 MBs with it turned off, I get around 200Mbps and random peaks of 600 Mbps. RDMA perfmon counter was showing hits, but then it just stopped. The management network is set as cluster and client and SMB networks to cluster. You have poor performance because of NVMe. These NVMe are for consumers. You need enterprise NVMe such as Intel P3710. Good Article, but i’m struggling on a few points on the network side, for our instance we have our local lan (management/AD etc) on 192.168.16.0 /24 | Storage 1 on 172.10.10.0 /24 vLAN 103 | and Storage 2 on 172.11.11.0 /24 vLAN 104. We have a 10GB link to the network for the VMs to utilise etc, however I cannot communicate from say node01 with management IP of 192.168.16.9 with the rest of the network. Have i missed something, presume you need to bind vEthernet Management with the physical 10GB link? Could you contact me by E-mail to expose your configuration please (rserre at seromIT . com) ? Hi Romain, can you compare it again Starwind virtual SAN? Thank you! Awesome article. You may want to add “-f” to your ping command for testing jumbo frames as they will automatically be fragmented if it exceeds the MTU. Unless there’s something I’m not familiar with on the 10Gb/RDMA/RoCE setup that Windows treats differently. No this is not possible. With HDD, you must use flash devices for the cache (NVMe or SSD). In almost all hyperconverged solution, you have to buy SSD for caching. Do you have sample to perform hyper-converged using Windows 2016 desktop experience? I avoid to deploy Desktop exprience with Hyper-V. Can you imagine an ESXi with desktop experience ? I can’t see advantage of desktop experience. Lot of Hyper-V with desktop experience have crapware installed on it and browser such as firefox. I prefer to deploy Core edition to reduce the ability to deploy application on hyper-v and to reduce patch impact. The reboot is also faster than desktop experience. In my opinion, Desktop experience should be avoided on Hyper-V and storage. The best-written article of this type I have ever seen. The devil is in the details, and there are plenty of those here. I love the scripted (repeatable, documented) approach. My sincerest thank you. Great article. But unfortunately I don’t have SSD just 10 SAS drives. I will give it a test anyway. My setup will have 3 nodes 4 10GB X520 DGA nics and a 10GB Unifi switch as well. I will also setup nic teaming for VM Workloads and VM Migration using the 4 interfaces. Curious if you’ve gotten this setup yet? Sounds similar to a setup we are looking at. Not as yet still working on it. Will update when I do. Why do you say we can’t implement S2D without SSD? May be, it is not supported, but it is possible. I have one. I said that because if your capacity devices are HDD, you need SSD (at least two per node) for cache. You can deploy s2d without cache. Yes, no one would recommend it but as for me it’s ok for small deployment or testing. You can do everything in testing environment. But in production, you can’t deploy S2D without cache if your capacity devices are HDD (even for small deployment). It is not supported and the performance will be poor. In your description, I see, you take 1,2,3 for the Storage 1, 4 and 5 – Storage2. But in the config, you skip the core 1 (that’s correct and recommended), but for then you take the Cores 2 and 3 for the Strorage 1 (starting from base CPU – 2, 2 CPUs – that corresponds to cores 2 and 3, and the Max is 4 – that sounds correct), then 4 and 5 (base is 6, 2 CPUs, and Max is 8 – that matches to 4 and 5). Probably, you have to correct “# Core 1, 2 & 3 will be used for network traffic on Storage-101”. Am I right? I am just curious: what do you do with the core 10 and 11 🙂 ? Just going through your comments, I realized, I have PERC H730 with RAID10, but it looks like the workaround is already published (we say, not for production 😉 ). It’s a little bit insane, how the hardware is too much dependent to the software those days. People have drop away quite expensive stuff to take S2D on the rig. Unluckily, it is not that “unlucky” trend over here only. The simple example, you can see, how people are abandoned with the support of smartphones, with the bitten apple for example, using older models. You just cannot update the system and you are exposed by vulnerability, even the phone is fully functional, and you spent the fortune past days to buy that older one. That’s quite sad. Probably thousands of people have the same feeling, but none (except some individuals) can say that a little bit louder. The number of VMQ must be the same on NICs/vNICs with the same usage. THis is why I don’t use 10. In production, We have usually two CPU with more Cores. In this case usually I set 8 VMQ / RSS per NIC/vNIC which need these technologies. Hyperconverged solution is a bit complicated than smartphone. Hyperconverged solution required HBA in JBOD because this is the operating system which managed the resilience. If you leave RAID and then S2D, you lose a lot of I/O. We implement storage solution, this is why it is hardware dependent. For sure, hyperconverged solution are easier to manage than hardware solution such as SAN, RAID, NAS and so on. Is the toilet (as pictured) required? I know this is absolutely unsupported and not recommended, I’m just interested if S2D would allow creating such a cluster in general, since there is no local disk redundancy per blade. Really not sure if it’s work with a single disk. If you want to try the solution, deploy somes VM with virtual disks and then enable nested virtualization. how has this performed over the last year running those non enterprise SSDs? Do you run much VM workload on it? I’m performing a clean shutdown on my S2D Hyper Converged environment tomorrow, presume its the same on 2016 as on 2012 R2? Process being, shut down cluster via the failover cluster manager, once complete, shut down node02 and then node01. Once i’m ready to power back on, power on node01 and then node 02 and start the cluster from failover cluster manager? Yes and the cluster start himself when the nodes are online. Can you grow a 2-Node cluster to 3 at a later point with S2D? i.e. initially it’ll mirror two ways, is it possible to change the protection to 3-way mirror online or is that destructive? Phenomenal blog, by the way – it’s been the most educational way to learn about Failover Clustering for me – very concise and clear. Thanks for taking the time! Thank you very much. Unfortunately, you can’t move a 2-way mirroring to a 3-way mirroring. You have to remove the volume and recreate it to 3-Way. 2) HPE DL380 Gen9 server, with 4) 240gb SSD, 20) 900gb SAS, 2) 2TB SATA for OS. 192gb ram. Each server has dual port Mellanox ConnectX-5 100gb qsfp28 ports. Each server has an HP 440ar controller connected to 8 drives, an HP 840 controller connected to 16 drives and the two OS SATA drives are connected to the onboard controller for booting the OS. In addition to the ConnectX-5 adapters, each server has 4) 1 gb onboard nics and 1) dual port 10gb nic. Right now the 1gb nics connect to an HP Procurve 2510g-48. The two 10gb nics connect to a netgear 10gb switch. I connect the ConnectX-5’s together with twinax DAC, no switch. If you could make the time, I could really use some help in setting up the network for S2D. When I run Cluster Validation with both of the Mellanox CX5’s connected to each other, the cluster validation fails the network test, However, when I disconnect one of the CX5’s, the network test passes. If you haveany other suggestions about how to get the most out of my setup, please feel free to make suggestions on ways to improve it. Network interfaces VMHOST1.test.com – Mellanox 1 and VMHOST2.test.com – Mellanox 2 are on the same cluster network, yet address 10.10.101.13 is not reachable from 10.10.101.10 using UDP on port 3343. Network interfaces VMHOST1.test.com – Mellanox 2 and VMHOST2.test.com – Mellanox 1 are on the same cluster network, yet address 10.10.101.11 is not reachable from 10.10.102.12 using UDP on port 3343. Network interfaces VMHOST2.test.com – Mellanox 2 and VMHOST1.test.com – Mellanox 1 are on the same cluster network, yet address 10.10.101.10 is not reachable from 10.10.101.13 using UDP on port 3343. At first I created the two networks mentioned in the article (10.10.101.0 and 10.10.102.0) but after failures, I tried others. Not sure why it fails when I have both ports on CX5’s connected to each server, but passes when only one of the dual ports is connected. Contact me at rserre [at] seromIT [dot] com. I have the same issue like Damon Johnson have you a hint for me. At first I input the addresses mentioned in your article ( 10.10.101.0 and 10.10.102.0 ) but after it kept failing I tried other configurations. Still not sure why the network fails validation when both ports of the ConnectX-5’s are connected to each server, but it passes when I connect 1 port. What is the licensing cost for this model, our company already have a number of 2016 DataCenter, does HA and hyperconverge need extra licensing ? Windows Server 2016 Datacenter provides everything you need for hyperconverged infrastructure such as Hyper-V, Storage Spaces Direct, Storage Replica and so on. first thing thanks for this brilliant article – clearly one of the best I have seen in this context! 1x Mellanox 100GbE Connect-X5 Dual-Port RoCE , “host-chaining” enabled – no external switch, as nodes are directly interconnected in a “ring” fashion. I have primarily my network setup under suspicion, since there is no useful information available how to properly setup such topology with S2D. Every other setup seems to completely rely on external switches… However with the very latest firmware from Mellanox I am at least able to verify that the nodes can talk to each other in a very decent speed (50-90Gb) and that the setup is tolerant against a connection or complete node failure. Also S2D uses the connection as expected and I am getting good read-pattern results with VMFleet (~650.000 4k iops), however once I am increasing the write ratio, the write latencies go through the roof. There’s nobody at MS you can ask and also the very friendly and helpful Mellanox support was out of ideas in this special scenario with S2D and host-chaining. From their perspective it is basically all good. I know it was a little bit venturous to try this setup, however it is so much appealing in terms of cost/performance that I couldn’t withstand once Mellanox presented the Connect-X5 and featured the all-new switchless interconnect option. Another area of suspicion would be the PM1725a NVMe which is a race horse on paper, however I see that S2D disables the devices’ build-in write cache which might cause the adapter to stall after a short period of write pressure. What I usually see is that everythig starts fast for a few seconds and then slows down extremely – showing the mentioned extreme write latencies (using watch-cluster). Do you have any idea in what I should further investigate? Or a hint whom I could ask? This is a great post, I’ve used a lot of Poweshell commands and best practices of your site. Maybe one major tip: you should use Windows Server 2016 Datacenter LTSC, so you can’t use 1709 or 1803! One question: you rename the “Cluster Network 1” (and 2,3,4) to “Storage-101” etc. But how do you know which number belongs to which NIC/network? I’m using Powershell only. I know by looking the failover cluster manager: there is the network subnet. I was trying to use PowerShell to find this out, this is because I didn’t had a server with Failiover Cluster Manager yet. Can I ask what software you used to draw your hardware implementation. first of all: your blog is a REVELATION. I recently took the position of Administrator at a moving company, which had no IT-department before. Since Im doing the job alone, I demanded HA. Doesnt matter how, but I will not lie awake at night and mumble “please dont break, please dont break, please dont break” – so HA is the way. But even in a traditional Hyper-V cluster, the shared storage is always the Single-Point-Of-Failure. So I got into hyperconverged solutions and therefor Storage Spaces Direct (and VMware vSAN, but thats too expensive). I also considered StarWind, but after testing the trial versions and S2D in lab environment, I will go with S2D because of the streamlined usability (or do you recommend StarWind as well?). Ok, so much for that. If it is not too much to ask or an imposition on your person: would you mind having a look at my server configuration? In the beginning its only for 4 VMs – 1 domain controller (2nd physical – for now), 1 wsus server, 1 print server and the ERP system (the ERP system has a progress database included in its setup). Best article so far! Romain, between this and a hyperconverged infrastructure like nutanix or simplivity, the pros and cons, cust x benefit, what is your opinion? The greatest pros for S2D is performance. I’ve never seen competitors get the same level of performance than S2D. Another advantage is the price: S2D is less expansive than other competitors. Hello Romain and my respect for the article and comments. 1. You say that S2D is less expansive than other solutions. But Datacenter edition’s cost about 6k$ x2 nodes=12k usd. If we be able for example to consider junior starwind solution it cost about 2.5k for two hyperconverged nodes and 4 Tb replicated storage (+hyper-v free edition). What can you say about it? 1. When you buy Datacenter edition, you buy also Hyper-V and licenses for guest VMs, S2D, SDN, and so on. Even if it’s expensive, you get access to all Windows Server features inside VMs. 2. The 10Gb networek adapters are used for Live-Migration and S2D. An SATA SSD works almost at 500-600MB/s. You can easly see that 4 SSDs can use the whole 10Gb/s bandwdith. Morevoer Microsoft recommends now 25Gb/s network adapter in their documentations. Thank you for this website which is a mine of information! I was able to test the s2d with 2 vm Hyperv and one for the quorum. it works well except when a node fails I have no automatic switch VM node1 to the node2…the storage cluster continues to work I still have access to data but the VM does not restart wait 5…10min and nothing. The question is: with 2 nodes it is possible to automatically switch vm from node 1 to 2 or vice versa when a node disconnects after a failure? Hmm it’s strange because the VM should restart on the other without any issue. Did you notice any network issue ? I did not configure the role HA in the cluster …. Sorry if this as been already addressed. If we setup a 2 node setup now, and in say 2 years we’ve outgrown the resources, and need to expand. Is there an easy path to add another node to the cluster or are we stuck with tearing it down, and rebuilding with the 3rd node from the start? If you need to expand the cluster, first you need to buy 2x switches. Then you can interconnect all nodes to these switches and add nodes to the cluster. Unfortunately, the created volumes will be stucked in 2-Way Mirroring and you have to delete them to create a 3-Way Mirroring volume or other kind of resiliency. I have implemented your guide successfully, very concise, thank you. i have one problem which I cannot resolve, regarding the SW-1G switch embedded team. Each of the physical adapters are attached to different physical switches, when I power down a switch, the affected port shows “network cable unplugged” in the management OS, but when the switch powers back on, it remains unplugged. If I disable and re-enable the network adapter in the management OS, the connection then shows connected. If it doesn’t work, it’s hardware related. I am asking why you didn’t user ConnectX-4 Lx who is a the same price and use the RoCE protocol? I took Connectx3-pro because they were less expensive on Ebay than ConnectX4 LX 🙂 (When I built the servers). merci beaucoup for this excellent article ! Currently we have a cluster running on basis of KVM (Linux) which is running reliable but quite poor in performance. Having 2 new DL380 Gen10 with XEON 4110 available I thought to give your approach a try. I have installed Datacenter Server 2019 on both nodes, so far everything running fine. 1. One of my NICs refused to set Jumbo Frames 9014 (“value must be between 1500 and 9000”). Is this a problem ? Shall I set it to 9000 in all NICs? 2. Above you test your network with “ping 10.10.0.1 -l 9014”. Which adapter has received this IP in your approach ? 3. You set DNS-Server to 10.10.0.20. Which server is this ? Would it be ok to set it to 127.0.0.0 as the DC runs on this machine and thus the DNS does as well, or not ? 4. Is there any steps that you would do differently in a 2019 installation ? 5. At which point of the installation process the Nested Mirror-Accelerated Parity should be installed ? 6. Which modifications does Nested Mirror-Accelerated Parity require regarding available hardware (HD spaces, cache spaces, etc.) ? 7. Do I understand correctly that both nodes are configured exactly the same, including all IPs etc. ? 1. Some NICs don’t accept MTU 9014. It’s not an issue. You can configure 9000. Thanks for your excellent article. I’m not good at network and Windows setting. Your article really help me so much. I already configured a 2 nodes HCI with server 2019 DC with GUI,but i have some confuse about these setting. I bind 2 adapter(1 G for each one) teaming named NIC, create a switch on NIC and create a virtual adapter named VNIC with IP 10.10.0.5&6 and a mellanox 100Gb network adapter named Storage (RDMA enable) with IP 10.10.101.5/6. after create cluster and s2d. When I test VM live migration, on the task manager performance tab, it shows “VNIC” become 600Mbps in short time and “Storage” less than 3Mbps. I think “Storage” work but can’t see, cos when I disable “Storage” and test again, “VNIC” become 300-600Mbps more than 15s. but I don’t know why I can’t see “Storage”‘s real bandwidth and why VNIC became so bigger bandwidth. Do you know how to avoid this cos I want to use VNIC for data between VMs, like SQL data write and read. if the bandwidth was taken by migration affairs, it may affect normal communicate. Awesome Post…thank you. Most all of it I understood… Just a few questions. 8 Local Drives with a Smart Array P410i with SAS 8 drives. 4/200GB SSD and 4/900GB10K drives all but two of the SSDs are configured as logical Drives all but 2/SSD as the OS/System drives. 1 “Affordable” MikroTik 5-Port Desktop Switch, 1 Gigabit Ethernet Port, 4 SFP+ 10Gbps ($119.00) This is a game changer. The environment already has 2 Domain Controller on the network. Most everything in your post works for me except the for not setting up SET on the 10Gb network. Can I ask you for help with that configurations. I do appreciate anything you can do to help. I do have remote access if you want to look…all the servers are ready for configuration…Fresh install of W2016 DCE the driver are loaded and the server have been patched. I have been working with Storage Spaces for 5 years. very good article as well as the comments. a small question, what is the benefit of putting a vlanid on the network cards storage? direct-attach both nodes, do not isolate the traffic already? I used to isolate storage networks in VLAN because I do also that in 3 or more node cluster. But yes, if they are isolated physically, it’s not mandatory. 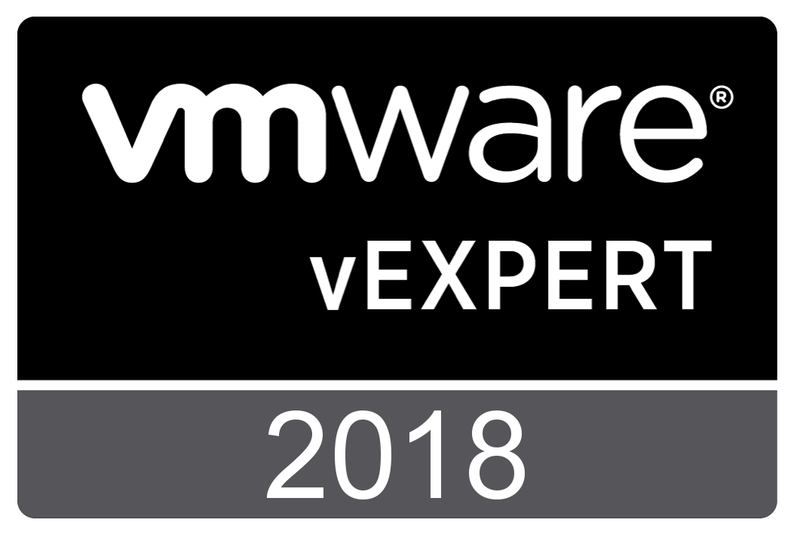 the vm replica between 2019 to 2016, it’s ok. The vm is well created between the manager of the cluster 2019, but no initial replication ‘error hyper-v-vmms 33680,32354,32004.
if i decide to export the initial replication and re-import it, I have the following errors: 33680,32086,32370.
if anyone has an idea because I do not see.